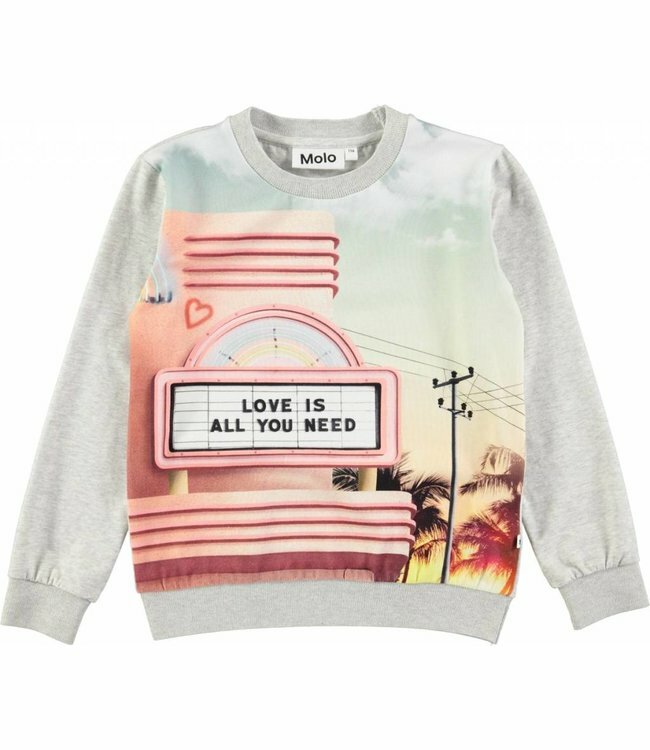 Molo - Regine - Refinery Clothing Co.
Long sleeve grey melange t-shirt in a sweatshirt look with a digital neon sign print on the front. It has rib at the neck, sleeves and bottom. This product is Oeko-Tex certified.